Football hooliganism, fan behaviour and crime: contemporary issues edited by Matthew Hopkins and James Treadwell focuses on a number of contemporary research themes placing them within the context of palpable changes that have occurred within football in recent years. 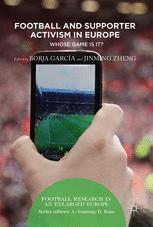 The collection brings together essays about football, crime and fan behaviour from leading experts in the fields of criminology, law, sociology, psychology and cultural studies. Organisation and governance of top football across Europe: an institutional perspective edited by Hallgeir Gammelsæter and Benoît Senaux aims to provide an extensive overview of how football is organised and managed on a European level and in individual European countries, and to account for the evolution of the national, international and transnational management of football over the last decades. Football fandom and migration: an ethnography of transnational practices and narratives in Vienna and Istanbul by Nina Szogs studies how transnationalisation, Europeanisation and migration processes intersect with football fandom, through an analysis of the transnational narratives and practices of Fenerbahçe and Galatasaray football fans in Vienna, Austria. 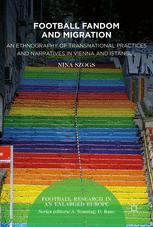 Based on ethnographic fieldwork in Austria, Turkey and Germany, the author analyses the ways in which narratives about football fandom are often linked to migrant experiences, including practices of (self‑)culturalization in the diasporic context in Austria. Foreign players and football supporters: the Old Firm, Arsenal, Paris Saint-Germaine by David Ranc looks at supporters’ reactions to the increase in the number of foreign players in the clubs they support. 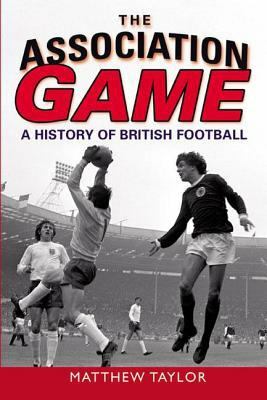 It concentrates on three case studies on Glasgow (Celtic and Rangers), Paris Saint-Germain and Arsenal in London and the book charts the evolution of the link between supporters and club between 1995 and today. Access to the e-books listed is only available to current students and staff at University of Edinburgh. This entry was posted in Library, Library resources and tagged books, Britain, e-books, ethnography, Europe, football, history, online resources, social anthropology, sociology by spslibrarian. Bookmark the permalink.